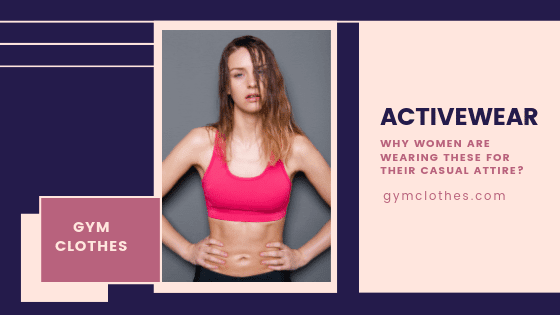 Why Women Are Wearing Activewear For Their Casual Attire? Activewear has literally taken over the lives of people today, and women are enjoying the change. Retail stores are changing in design and now you can finally see the clothing racks filling with tons of fitness clothing. In this blog however, we will explore why womens fitness clothing wholesale collections are slowly becoming more dominant as outerwear. Want to find out? Let's take a look at the benefits that this clothing scheme provides! 3 Reasons Why Men Love Stringers In The Gym! If you are one of those people who do not understand what good is stringer tank top, then this is just the place for you. Many men and women who love their fitness tend to not like the stringer top - and the reason is pretty simple (because it seems unrealistically revealing). Get New Stocks Or Make A Private Label Brand - What's Your Choice? If you are looking to bring new stocks for your fitness apparel retail store, then there are a few questions that you should ask yourself. For starters, is reviving your stocks to the latest collection what you want? Or do you want to start it in the name of your own private label brand? If there is a dilemma in your head, then we can help you solve it. In this blog, we are going to take a look at some of the key features of both arguments. Once you are done, you can make your decision far more easily - whether you should contact private label fitness apparel manufacturers or go for wholesalers! There is a lot of good things that you can get from just bulk ordering the latest trending clothes that manufacturers have in their catalog. For starters, you do not really need to worry about what you should order and what you should not. The top manufacturers already include the recent trends in their catalog and you just have to choose and pick. No pressure at all. Getting your orders to revamp stocks is also a quick process compared to what you have to go through with private label clothing manufacturers UK, which involves multiple levels of design approval. So, you can quit all the hassle and just opt for the latest stocks to be included in your retail store - which will in itself make all the difference in the world. There is the other option where you can make your private label brand with help from private label clothing manufacturers Australia. You can customize your collection with the help of designers and make your bulk orders exactly the way you want it. You can add your logos, give it your own brand name, and market it exactly like you please. This is the kind of feeling you need to be part of your own creative process and control every bit of the manufacturing and design. It is only possible when you know what your client wants and how to respond to those things. So, if you want to be a brand that cares about the environment, you can always make it part of your motifs and this applies for all sorts of ideas. Which One Should Your Choice Be? If you are more interested to make a difference in your sales, then getting to revamp your stocks will be good enough. On the other hand, if you are looking for a more creative endeavor, then you should choose private label. So, whatever you decision is, the time has come to let your manufacturer know. What are you still waiting for? How To Choose The Best Sports Wear That Is Practical Yet Stylish? While we exercise looking stylish and doing our stretches pretty well may not be a struggle at all. Looking good and working out well at the same time is not something of a foreign concept to the people. Work out clothing has long been incorporated with trendy elements to give it a sartorial touch. But with more advancement and exposure specific sportswear are also being manufactured keeping in mind the fashion needs of the current generation. In fact you can find custom fitness apparel that are exclusively made keeping in mind the present athleisure needs. 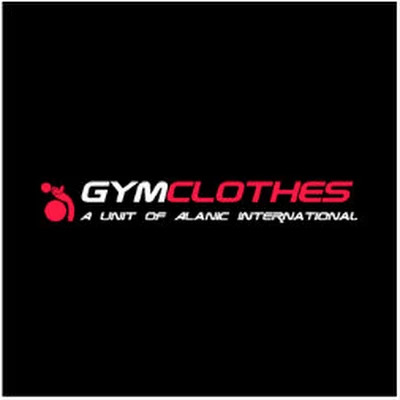 Investing in such clothing will also allow you to be one of the renowned gym clothing companies in the market. 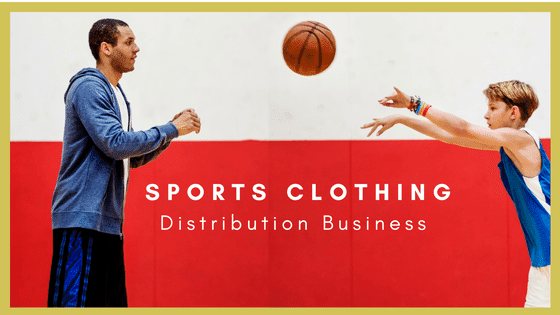 Why Starting A Sports Clothing Distribution Business Is A Good Idea! If you are looking for businesses to explore, then becoming a sports clothing distributor may not be such a bad idea. For starters, it is one that has been trending for quite some time now and breakthroughs are being made every moment. Also, there is a huge demand for this sort of clothing. All you need to succeed in this endeavor is to have one of the best sports clothes manufacturers in the business. The athleisure and sports clothing business is growing steadily, and experts claim radical expansion of profits till 2021. Everyone in an around you want to have their own dose of fitness clothing, and that is the kind of demand you need for a business. One of the best things about the athleisure business is that there are new trends coming up every now and then, and that is what makes it easier for business. Because you have so much variety and options around you! If you want to play a game that involves profit, then you will need the best players on your side. As far as the top sports clothing manufacturers go, they are looking to expand their distributorship around the country. To encourage that, they have low MOQs, better prices, and faster deliveries – which essentially means there is no better time to go about it. So, for people who were thinking of starting a business and earning smart profits, this one is the way to go. Athleisure retailers are all around you, which ever way you look. So, if you were to start a distributorship business of sports clothing, you would have plenty of customers in no time (especially if point 2 is taken care of). So, in essence you should have easy access to supply and demand – and there plenty of options. If this is not the best scenario, then we don’t know what you need to start a business (maybe a Saudi oil well). If you are going to start a business that is profit oriented and wants to expand itself, then fitness clothing distribution is as good as it gets right now. There is no reason for you to wait anymore – just get in touch with top manufacturer for your distributor’s kit now and start building your thing!